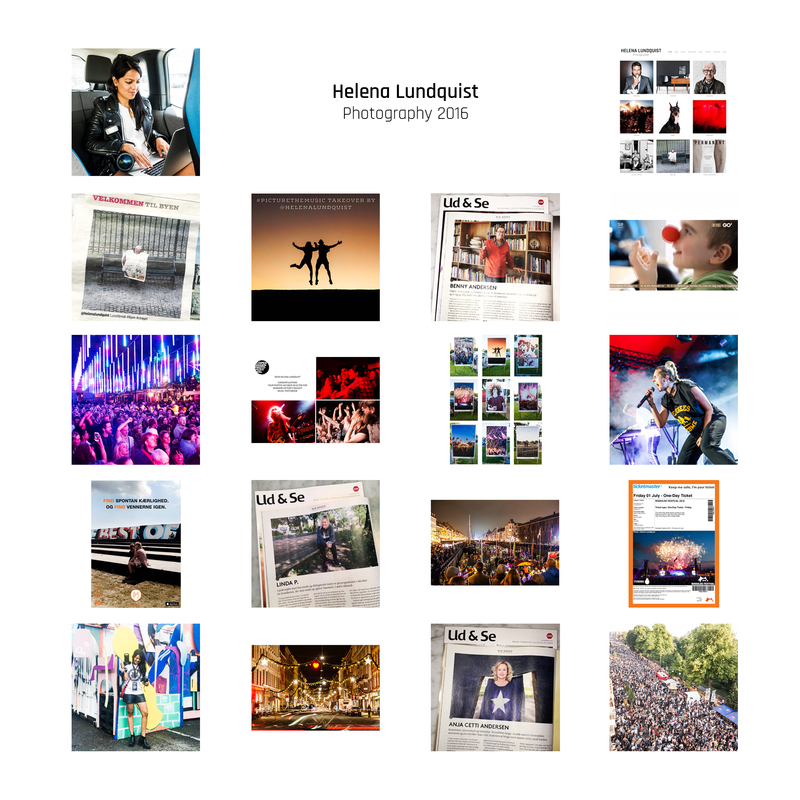 This summer I covered two festivals: Roskilde Festival and Musik i Lejet. Beside that the GAFFA office in the Backstage Village was covered by my photos. I also shot the concerts of Kim Larsen in Søndermarken and Blue Foundation at Musik I Lejet – Blue Foundation reposted the photos. I was again photographing Copenhagen Fashion Week to their daily newspaper “The Daily”, Social Zoo, DANSK and Darling Creative Studio. 6 portraits was published in DSB – Ud & Se of the entrepreneur/director Martin Thorborg and the writer/journalist/author Morten Sabroe in articles about “My Month” and 4 portraits to articles about education. I was covering Copenhagen Pride, the “ARKET” store opening in Copenhagen with photos and instastories, Royal Arena and portrait of the talented graphic designer Marie Brodersen and did a SONOS x FvF portrait / video of Danish Designers Emil Krøyer and Mads Sætter-Lassen about their view on design and favorite tunes. The newspaper Politiken printed one of my photos from Kayak parade to celebrate St. Lucia’s Day at Christianshavn. What an amazing year! – I’m looking forward to another busy and exciting 2018 beside my amazing job as webmaster at Scoop Models. Roskilde Festival: I worked for GAFFA magazine, Denmark’s biggest music magazine, where I photographed a lot of vibe and MØ at Orange Stage, a large part of the photos hung inside Media City on GAFFA press wall and I’ve got 9 large photos hanging in front of the entrance to the Media city – The Backstage Village. “Roskilde Festival” had this year used one of my photos for their Friday ticket and another photo was used in “3 Mobile’s Crowdseach” app campaign. Trailerpark Festival: Was my 5th year as photographer in a row, it became lots of art, vibes and 16 concerts and streetstyle for Cover Magazine. A huge thanks, love and respect to the Artrebels Family their close the magical festival after 10 years. It also became 5 years of photograping poplife for Cover Magazine. I was again photographing Copenhagen Fashion Week to their daily newspaper “The Daily”. TV2 GO’morgen Danmark showed the start of my video regarding Danish Hospital Clowns and I covered Opening Night at the US Embassy residential during Copenhagen TV festival. Besides that I shot portraits of Linda P, Anja Cetti Andersen and Benny Andersen in articles about “My Month” in UD & SE (DSB) Magazine. The newspaper Politiken printed three of my Instagram photos in “IBYEN” and I’ve got one print in Østerbro newspaper. During Copenhagen Photo Festival – the exhibition “Picture The Music” my photo hung in the size 210 x 140 at Byens Hegn, three is printed in Denmark’s largest photo book “Picture the Music” and they where driving around in Copenhagen metros. I also got invited to do a takeover for Copenhagen Photo Festival official instagram where I showed 6 of my best music photos. 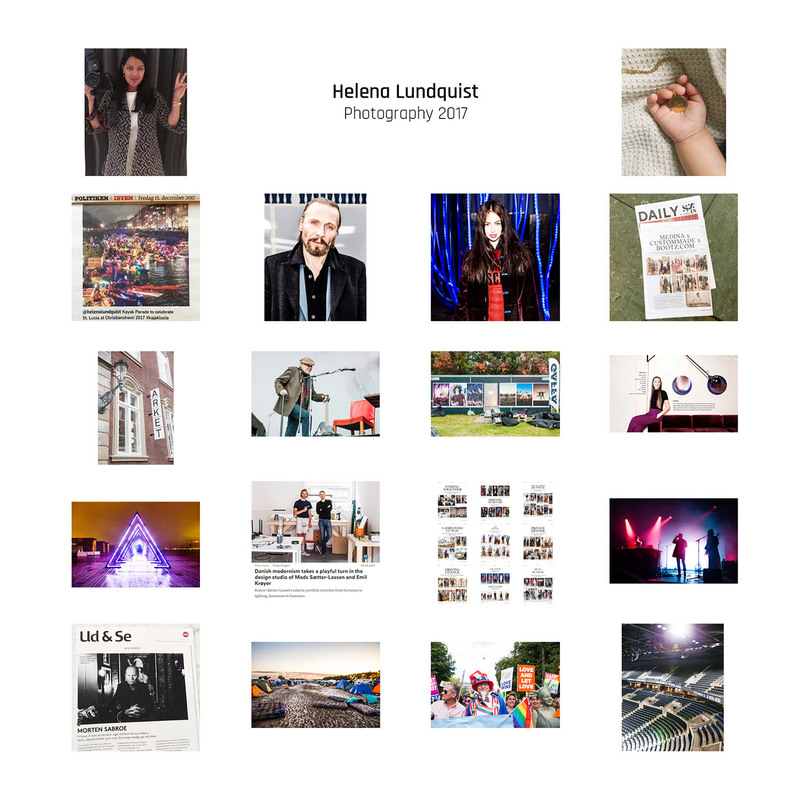 My website got published and I still photoblogging – so go check it out if you wanna see or follow my work. – I have a lot of projects there’re isn’t published yet, which I can’t wait to show you soon! I’m looking forward to another busy and exciting 2017 beside my amazing job as webmaster at Scoop Models. Thank you to all who follow and like my work – I’m so grateful!